LaRache (Al. 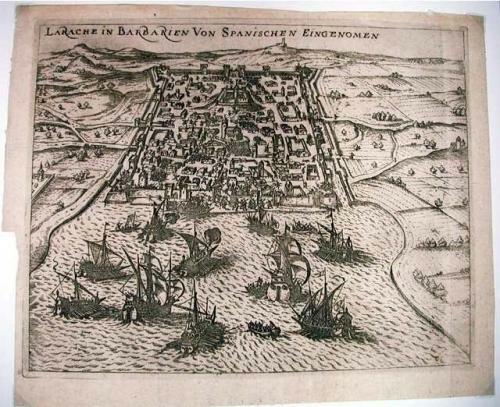 Araish) on the coast of Africa near Tangiers was founded as a trading post by the Phoenicians in the 3rd century B.C. This etching portrays it's capture by a Spanish fleet in 1610 who held it till 1691.